So you want to be a commercial diver? You want something different out of life. The sound of working underwater and traveling the globe sounds exhilarating. That’s great! But what does it take to become a commercial diver and to launch a successful career in the industry? Let’s take a look at what a commercial diver can expect the first few years and beyond. Before You Get Started: What Qualifications Do You Need? The fantastic thing about becoming a commercial diver is that there are relatively few requirements. Applicants don’t even need to be qualified scuba divers. Commercial diving centers are operated by experienced divers who have years of experience between them. These guys know all the tricks and can turn any student into a well-qualified diver. Provided that you will be over 18 or older and can pass the a dive physical, including being able to swim 400 meters unassisted, you will most likely qualify for entry. The commercial diving program at DIT has everything you will need to launch a successful career in commercial diving. The program comprises of 7 modules. 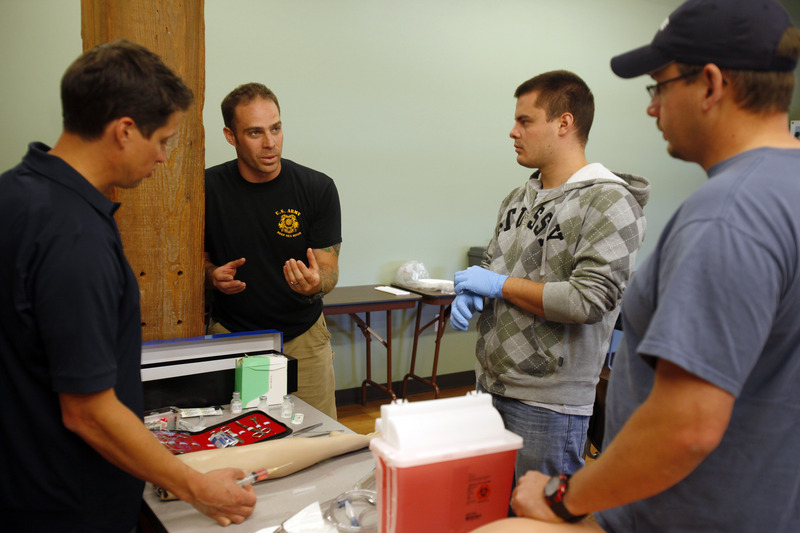 Diver Medic Technician – full course and refresher course, offered alternating months. Kirby Morgan Hat Technician Course – offered monthly. Why Divers Institute of Technology? is widely regarded as a distinguished training school. Its instructors are highly experienced, while the school itself has been training divers for over 50 years! The instructors and staff are committed to ensuring everyone who graduates from their program has the best possible start to their diving career. One thing is for certain, you are in safe hands when training with DIT. Do your research (Use DIT’s experience and support to help). Find out what companies are looking for. Make sure you convince them you have what they need. Show them that you will do whatever it takes to be successful. Of course, there is a little more to the diving employment process than these simple points. It is important to develop a clear strategy to land the best job. Don’t forget that networking is a great way to up your chances of finding that first job. Once you have graduated, the world is your oyster. There is a constant need for commercial divers all over the world, from the Gulf of Mexico to the North Sea. Divers have the option to work in almost any environment they choose. But if you want to get ahead of the competition, it pays to invest a little more in your education and complete all of DIT’s certifications. Being a qualified rigger, for example, will certainly make you more attractive to potential employers who might require this skill set. Most graduates start out as dive tenders. In a nutshell, this means that they spend their time helping experienced divers out with simple tasks. It might feel humiliating at times, but this is the safest way to ease new divers into the job. Divers are relatively inexperienced and have to quickly learn to adapt to working in a huge range of environments. This is why training is so important. Divers who have been well-trained will be able to rise to meet any challenge. After divers have a few years of experience under their belts, they are ready to step up with the big boys. Nick Mueller, a recent DIT graduate, points out the importance of making sure that you find a company that will ensure that you get lots of dives under your belt. New divers need as much experience as possible to make sure that they refine their skills. He also points out that many companies look for graduates with a Diver Medical Technician (DMT) certification, something which is included in DIT’s advanced training. Thanks to finding a good employer, in Nick’s first 2 years he has done everything from performing a thruster change out on a vessel to conducting non-destructive testing on semi-submersible rigs. has notched up 5 years of experience, there’s a good chance they’ve dived all over the world. During this time, Troy managed to do everything from repairing oil platforms to saturation diving. Most divers reach a point in their career when they choose to take all their years of experience and put it to good use. While this usually means them spending a lot more time topside, it does mean a big bump in pay. Troy now spends his time as a safety and procedure advisor overseeing project planning. Others like DIT graduate Rusty Bryant decided to open their own diving company, meaning that now they are the boss. Also, start off on the right foot. That means picking a school that’s going to prepare you for a long, rewarding career. Being trained to the highest possible standard is the best way to ensure that you have all the tools you need to become a success.